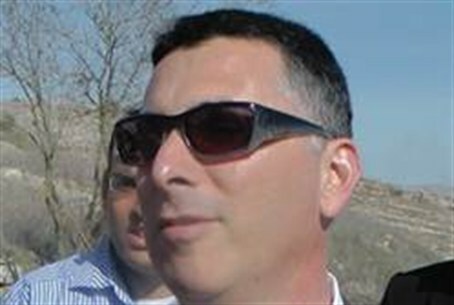 Education Minister Gideon Sa'ar on Tuesday visited Hevron in a signal he intends to expand the "Higher Hevron" program. Eighteen months ago Saar launched the program, which is designed to encourage school trips to the Cave of the Patriarchs in the ancient Jewish city. In its opening stage, the program was implemented in schools in the Jerusalem district. Now the Education Ministry is planning to expand the program to schools all across Israel. During his visit, Saar toured the restored Jewish community in Hevron and met with Mrs. Miriam Sasson who was born in Hevron and experience the bloody riots there before the founding of the modern Jewish state. Sasson shared her life story with Saar and his delegation, and encouraged him to continue his efforts to reinforce the nation's deep connection to Hevron. The minister also met with local leaders from Hevron and Kiryat Arba to discuss ways to strengthen Israel's hold on the historic Jewish city. After his visit Saar said: "We can not tell the story of the Jewish people without Hevron. Hevron's Jewish narrative began thousands of years ago. Hevron belongs to all Jews, all of Israel." The nation must instill "a thirst and desire to come to Hevron in schools across the country," he added. Saar said the words of David Ben Gurion on the biblical narrative of Hevron were central to the Higher Hevron initiative. "These things are a summary history of the city, and continue to be always correct," Saar quoted Israel's first prime minister as saying.